Bamako — THE United Nations (UN) is probing the prevalence of conflict-related sexual violence in Mali. It is most prevalent in the central region of Mopti, an area with high levels of inter-community tension and insecurity. Mopti accounts for 27 percent of 3 330 cases of gender-based and sexual violence reported countrywide in 2018. Pramila Patten, the Special Representative of the UN Secretary-General (SRSG), led a delegation to the area. The envoy's visit has culminated in the establishment of a "One-Stop" centre that will allow victims and survivors of gender-based violence to be fully supported, for health care, psychosocial, safe and legal monitoring services. It is a is a multi-functional center, which will also cater for victims and survivors from the northern Mali towns of Timbuktu, Gao, Ménaka , Taoudeni and Kidal. These are also beset by violence. Patten meanwhile commended the efforts of UN staff, particularly women, working under challenging circumstances in the West African country. UN established a peacekeeping mission in Mali (MINUSMA) in 2013 in response to insecurity. 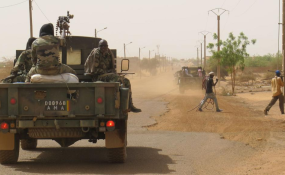 Mali has emerged among the most dangerous peacekeeping missions with 191 deaths since deployment.